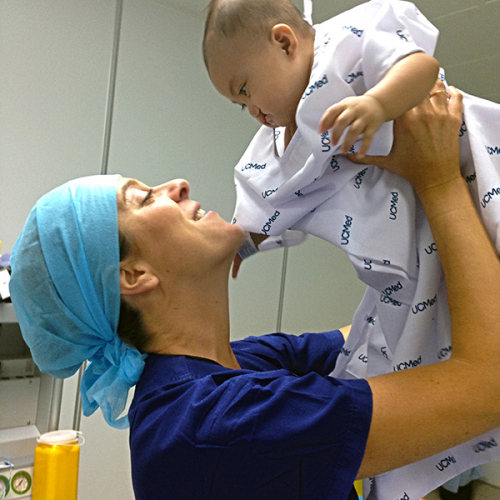 Smile for ME is a not for profit surgical charity run by the team of volunteers that undertake the surgical mission because we are passionate about helping the children in the Philippines. As we manage the charity every dollar donated goes towards the surgical mission. This surgery transforms lives. The children of the Philippines need our help & together we can make a difference. With 1-2 in every 1000 children born in the Philippines born with a cleft deformity they need your help. Donate now and help change a child’s smile & their life. Donations can be made either by using Paypal or by Direct Deposit into our account. We are able to issue tax deductable receipts for all donations. If you donate via direct deposit please email us your details, the amount you donated along with the time & day so we can verify the donation & to enable us to send you a tax deductable receipt. Consider becoming a frequent smiler & making regular donations. Your donation can change the lives of these beautiful children. We value your support.